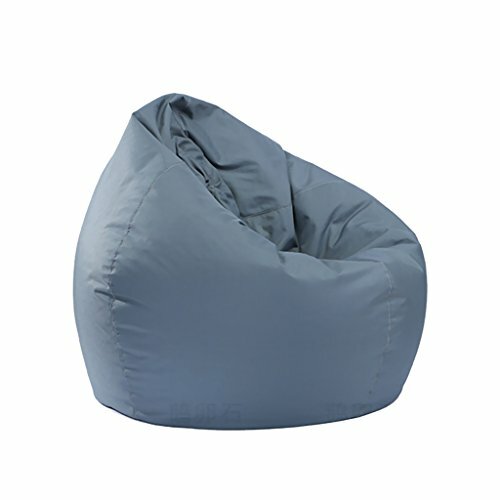 - Drop shape large size bean bag chair cover, suit for adult / kids sitting to read book or watch TV, enjoy lying after work, or pick up your legs. - Soft & Durable - premium durable linen and waterproof bottom oxford cloth, with extra-long zipper, machine washable, convenient to carry and move around. - Room Organizer - keep your room tidy for storage bedding, pillows, blanket, seasonal clothes, etc..
- Kids Playroom Organiser - can hold 50-70 stuffed animals, dolls or plush toys (not included). - Convinient to Wash - comes with inner pocket, which convinient to hold your filler foam. Drop shape large size bean bag chair cover, suit for adult / kids sitting to read book or watch TV, enjoy lying after work, or pick up your legs. Soft & Durable - premium durable linen and waterproof bottom oxford cloth, with extra-long zipper, machine washable, convenient to carry and move around. Room Organizer - keep your room tidy for storage bedding, pillows, blanket, seasonal clothes, etc.. If you have any questions about this product by B Blesiya, contact us by completing and submitting the form below. If you are looking for a specif part number, please include it with your message. Disney Frozen Toddler Nylon Bean Bag, 60"